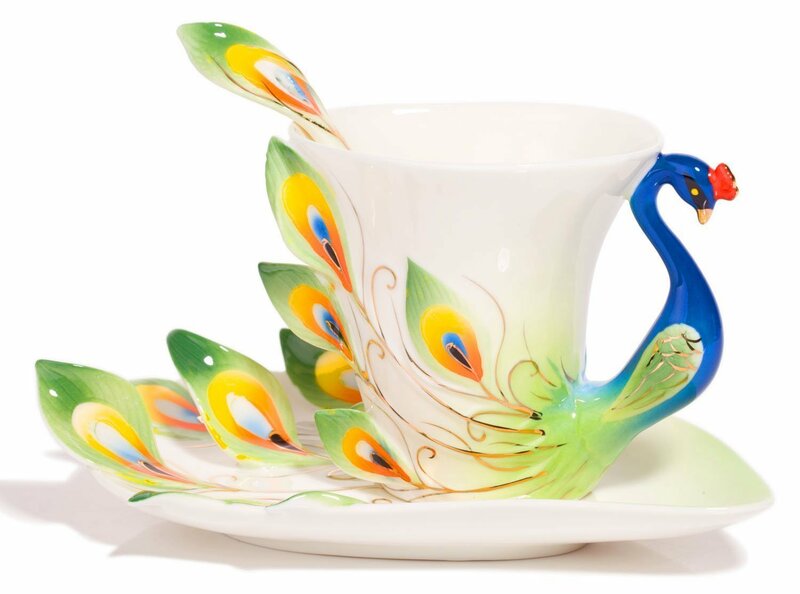 Anyone who loves a peacock is bound to fall in love at first sight with this beautiful Peacock coffee mug. This is a coffee mug that’s one hell of a beautiful thing and is definitely the most distinct coffee mug for your kitchen. 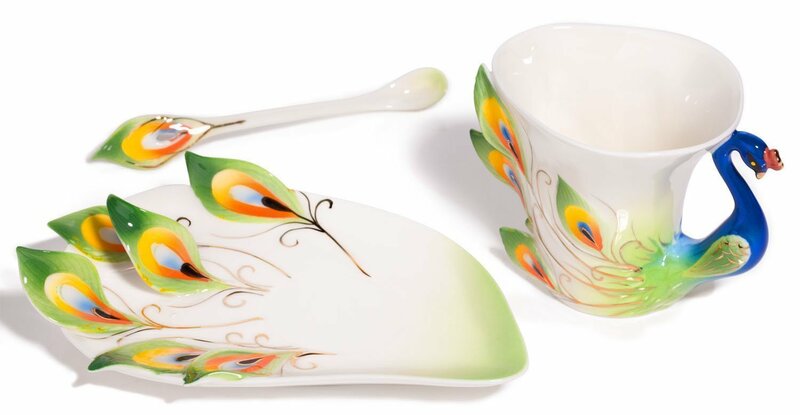 Made up of fine quality enamel porcelain, the awesome color combination on this peacock mug makes it look absolutely stunning. Furthermore, it comes with an equally mesmerizing saucer and spoon. There are many color variations that you can buy for this coffee mug. It comes in blue and green (as shown in the above image), red and yellow, shades of pink and many more. See all color variations here. This thing of beauty can hold up to 180 ml of the beverage of your choice and measures 6.7 x 4.3 x 3.7 inches; you don’t have to hit the gym in order to pick this peacock mug as it weighs less than 1 pound. The diameter of the saucer (included) is 6 inches and height of the spoon (included) is 5 ½ inches. Well there’s no one in this world who can’t love such a finely crafted, super looking and high quality coffee mug. Basically we just fell in love with it and this is one of the most collectible coffee mugs on our website.